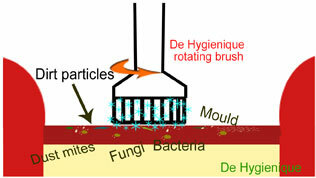 De Hygienique cleans sofa using dry shampoo encapsulation technology, designed and manufactured in Europe. 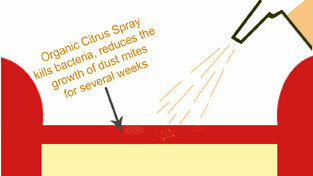 This cleaning system uses pH 7 shampoo solution that is so safe you can apply the shampoo solution onto your face. 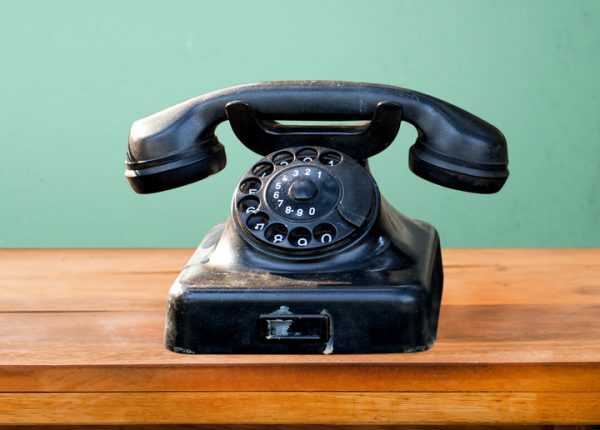 As minimal amount of liquid is used in this upholstery cleaning system, there is almost no drying time needed after a cleaning treatment. 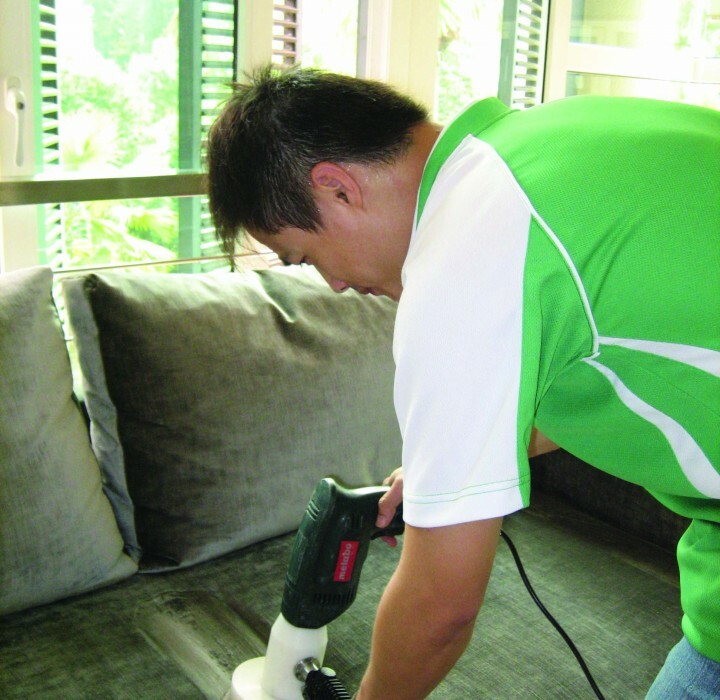 The achievements of this revolutionary cleaning system have surpassed many conventional upholstery cleaning systems. Almost no drying time needed. *Note: Heavily stained fabric would require slight drying time. Removal of different types of spots/stains. Note: Result depends on the nature of stains. A special high-speed rotating brush will infuse shampoo foam onto the upholstery for effective cleaning. 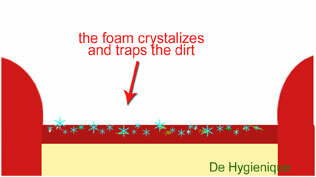 The foam encapsulate the dirt through crystallizing process. 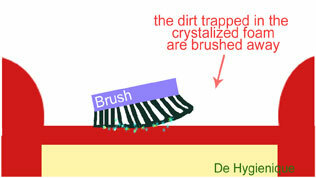 Once the foam crystallized and dried, the crystal-form residues are brushed off and removed easily.